Diane Hinkley — Infrastructure Group, Inc.
Diane Hinkley is the Operations Director of Infrastructure Group, Inc. and its subsidiary company, IG Europe, LLP, which together provide asset management, FinTech, principal investments, and corporate development for United States and international clients. Mrs. Hinkley also is the co-founder and a Director of IG Europe, LLP. Diane has more than twenty years of experience in operations, human resources, change management, and customer relations. Diane began her career with the strategic financial team in London which managed operations, capital markets and M&A for a large UK media conglomerates. She then joined Thames Valley Police Headquarters as Recruitment Manager for the regular police force and special constabulary. Diane was seconded for one year to the Police Review Team mandated by The Home Office to review operational effectiveness and efficiency within all departments of the Thames Valley Police Force. Following a career break to raise her two children, Diane joined Reed Elsevier (now Elsevier) in Oxford, a scientific publishing firm, in customer relations and the data team. During this period, Elsevier acquired Harcourt Education and Diane joined the HE business. When HE was sold to Pearson, Diane went to Pearson until joining Alexon Group, a clothing company that supplies fashion retailers and owns several proprietary brands. Diane worked with the Dash brand in Oxford, which was a leisure brand that led several “first to market” strategies for Alexon. Diane later joined the Gosford Hill Academy in Oxfordshire, where she had a dual role position as the Resources Manager with a mandate for school – wide procurement, operations, and efficiency improvement, as well as Human Resources operations and compliance. 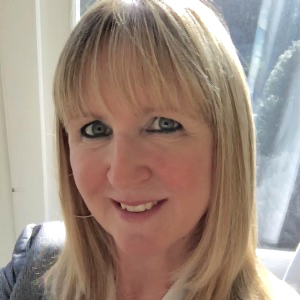 Diane joined Infrastructure Group, Inc. as co-founder of IG Europe, LLP and Operations Director of both Infrastructure Group, Inc. and IG Europe, LLP with the mandate to co-lead and manage the UK and EU business activities of IGI.